The BC Jazz ensemble brought the spirit of Christmas to campus at their annual winter concert in the Simonsen Performance Center on Dec. 3. Directed by Kris Tiner, the group performed familiar Christmas tunes from artists Duke Ellington, Billy Strayhorn, and P.I. Tchaikovsky’s Nutcracker Suite to an almost full house. Tiner thanked the audience for coming and supporting the musicians, then introduced Jazz Combo A who opened for the show. 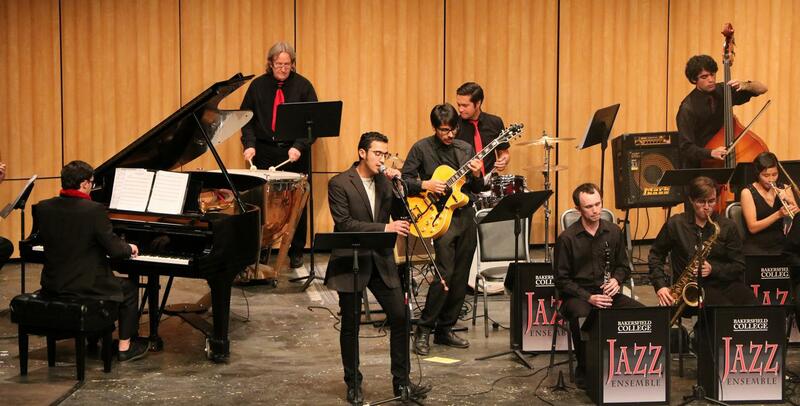 The combo consisted of students who are a part of the Jazz Studies program, a class in which they practice various techniques such as writing jazz standards, soloing, and improvising. A few students from the program performed original compositions made for the show. 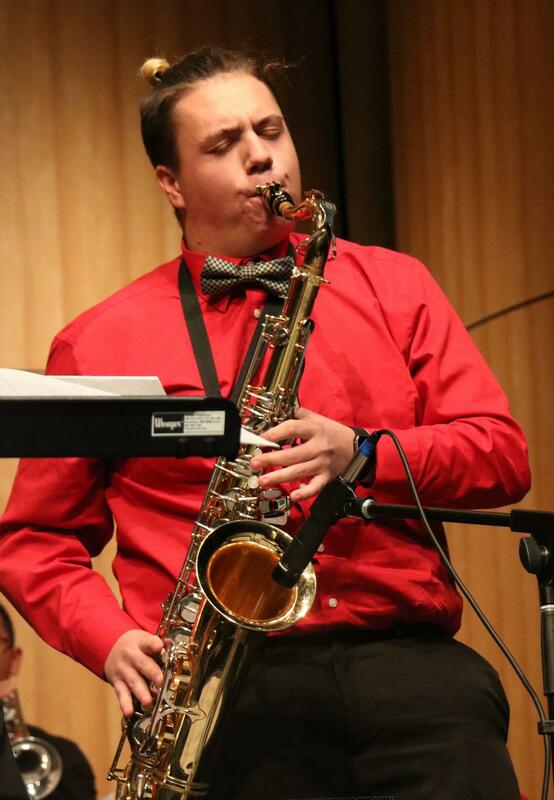 Tenor saxophone Chad Meyer plays a solo during on the opening numbers. “We have all been working really hard on our pieces in class. Tiner letting us perform our pieces is rewarding for us since it lets us express ourselves musically,” guitarist Miguel Mejia said, who has played with the jazz ensemble for four years and composed “Nowhere,” included in the night’s repertoire. Following intermission, the entire ensemble which consisted players of the clarinet, saxophones, trombones, trumpets, guitars, piano, bass, and drums and percussion were joined on stage to perform The Nutcracker Suite, with special guests Robby Martinez on piccolo and vocalist Kareem Lopez featured in a few songs. After the final piece, “I Like the Sunrise,” by Duke Ellington, Tiner further expressed his gratitude towards the audience and encouraged everyone to join the group again for the next concert in February, which will feature songs from artists Wayne Horvitz and Sara Schoenbeck. Vocalist Kareem Lopez joins the ensemble during the final number of the evening “I Like the Sunrise,” by Duke Ellington.